Although research on pediatric intracranial aneurysms is well documented, studies of pediatric intracranial distal arterial aneurysms (PIDAAs) remain scarce. All pediatric patients (≤ 18 years) with intracranial aneurysms located distally to the M2 segment of the middle cerebral artery (MCA), A2 segment of the anterior cerebral artery, P2 segment of the posterior cerebral artery, and other cerebral arteries distal to the main branch who were treated at our center between January 2012 and April 2017 were retrospectively reviewed. Thirty-five PIDAAs were observed in 35 patients with a mean age of 9.2 ± 5.9 years and a male ratio of 71.4% (n = 25). Sudden onset of severe headache was the most common symptom (n = 22, 62.9%), followed by seizures (n = 21, 60%). Twenty-seven patients (77.1%) had ruptured aneurysms, and 18 of them (66.7%) exhibited combined lobe intracerebral hematoma. MCA was the most common site (n = 23, 65.7%). Large or giant aneurysms were observed in 16 patients (45.7%). Eight patients (22.9%) had pseudoaneurysms, six of whom (75%) reported a head trauma history. Thirty patients (85.7%) had favorable outcomes at the end of the 6-month follow-up. Kaplan-Meier 6-month seizure curves revealed a significantly higher decrease in seizure rates in the surgical group than in the endovascular group (P = 0.036). PIDAAs constitute a high proportion of pediatric intracranial aneurysms. PIDAAs are associated with an increased risk of seizures, a predilection for the MCA, and a high incidence of pseudoaneurysms with head trauma history. 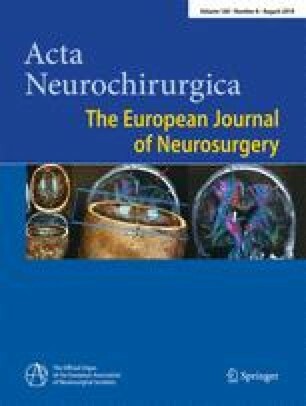 Surgical intervention is of greater benefit than endovascular treatment in controlling the risk of seizures. Ruiqi Chen and Si Zhang contributed equally to this work. This study was funded by the Fundamental Research Funds for the Central Universities (2012017yjsy200). Informed consent was obtained from the parents or legal guardians of all individual participants included in the study. Pediatric intracranial aneurysms are rare, and most publications are relatively small case series with a wide spectrum of aneurysm morphology and clinical presentation. Consequently, reported results are in part conflicting; however, there is consensus in that pediatric aneurysms represent an independent condition different from their adult counterparts. Hence, fusiform and dissecting peripheral aneurysms are much more common in children than in adults. The strong side of this report is that it strictly focusses on this typical morphological entity within pediatric aneurysm cases. It is thereby a valuable addition to the somewhat limited literature on pediatric aneurysms.